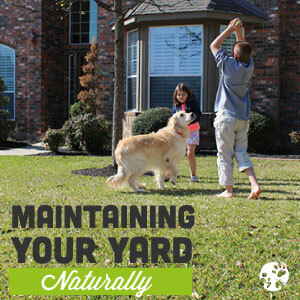 With conventional pesticide use being so common, many people don’t realize they aren’t using natural pest control and the conventional pesticides they use on pets, in the home, and on the lawn can have harsh effects on their family. Pest control companies will tell you that once a conventional pesticide treatment dries it is safe to be around, but the conventional pesticides don’t break down even after drying. They persist in the environment for months, which is why they last so long. This leaves conventional pesticides all around your home and lawn for your family and pets to ingest, breathe in, and absorb through the skin. And you will never know it because you can’t see it. The reason why this is a cause for concern is because there’s a growing body of evidence that links conventional pesticide exposure to several neurological disorders such as ADHD, multiple sclerosis, childhood learning disorders, Parkinson’s and cancer. This information is becoming more and more widespread, so to combat this, pest control service companies tell customers that they have a “natural pest control” that is made from chrysanthemum flowers. Many consumers will take this at face value and do not realize that what they spray is no more “natural” than their old solutions. These products have been in use for over 50 years now, only the marketing message has changed. What they don’t tell you is that these flowers are processed as conventional pesticides and become neurotoxic POISONS that cause serious health problems. Many conventional pesticides made from chrysanthemums (permethrin, pyrethrins, pyrethroids) are categorized by the EPA as “toxins, known carcinogens, mutagens, reproductive toxins, developmental toxins, immune system toxins, and endocrine disruptor”. With the pest control companies being so untruthful and expensive, it’s not surprising what little benefit you receive from their service. This is why we believe in truly natural pest control that is non toxic, and why you should ask the tough questions too. Indoor Pest Control, the top performing biopesticide for homes, is a Bio based insecticide made from Cedarwood Oil and Hydrated Silica that’s specially created for prevention & treatment of insect infestations. It has no harmful effect on the environment, humans or animals. In fact, it is a completely safe natural bug spray for use around newborns and nursing mothers. And that’s not just a marketing message from a pest control company. Learn more about conventional Pesticide Toxicity and Facts here. I read 6 ways cedar oil kills pests. I read somewhere that it can kill bed bugs. Does it work the same way for them as well? The simple answer is… yes! Cedar oil works to block the octopamine receptors of all non-beneficial pests, including bed bugs. When our product contacts them directly, it will disrupt these receptors and kill them, as well as eliminate their eggs and larvae! That said, our products recently re-aired on the show Shark Tank with no advance warning given, and we did not have the months of planning to ensure enough inventory to accommodate the massive influx of new orders that we did for the original broadcast! 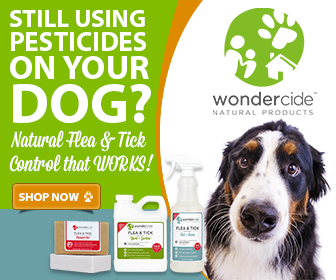 Because of this, we are currently out of stock on all Flea and Tick for Pets+Home sprays, Indoor Pest Control spray (including the Bed Bug Treatment), and the Personal Insect Repellents. We are truly sorry for this inconvenience, and would be more than happy to save your name and email address, and contact you just as soon as we have these products back in stock! You can also check Amazon.com to see if the product you are interested in is still available there, as they maintain a separate inventory than us and may still have what you are looking for! I hope this helps! Please let us know if you have any further questions, and have a great rest of your week! That’s pretty scary that companies are marketing their products with lies. Thank you for sharing this information. I have a 2 year old who loves to play in the yard. I can’t believe that she, and other kids and pets, are being put at risk like this.